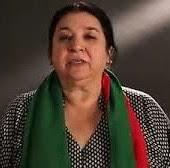 video link address of Jahangir Khan Tareen (Secretary General of PTI) and Dr. Yasmin Rashid (Candidate for Lahore NA120 and Secretary General of Pakistan Tehreek-e-Insaf). Both presenters provided updates on current progress (after Super Court Decision) and history of making efforts of Imran Khan and Pakistan Tehreek Insaf. 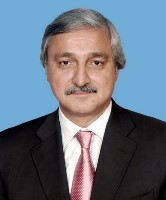 Jahangir Khan Tareen congratulated all Pakistanis on the great struggle for bringing the powerful under the law and the credit goes to Imran Khan and Pakistan Tehreek-e-Insaf; he mentioned that this is the first ray of hope towards NAYA Pakistan and Insha Allah now the time is not too far when we will see big change in Pakistan where everyone will be afraid of being caught while doing any type of corruption. 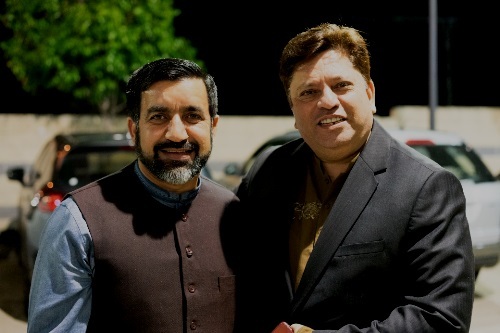 He also congratulated Pakistan Tehreek-e-Insaf (NSW chapter) for organizing such a beautiful evening which attracted about 600 Pakistani citizens. 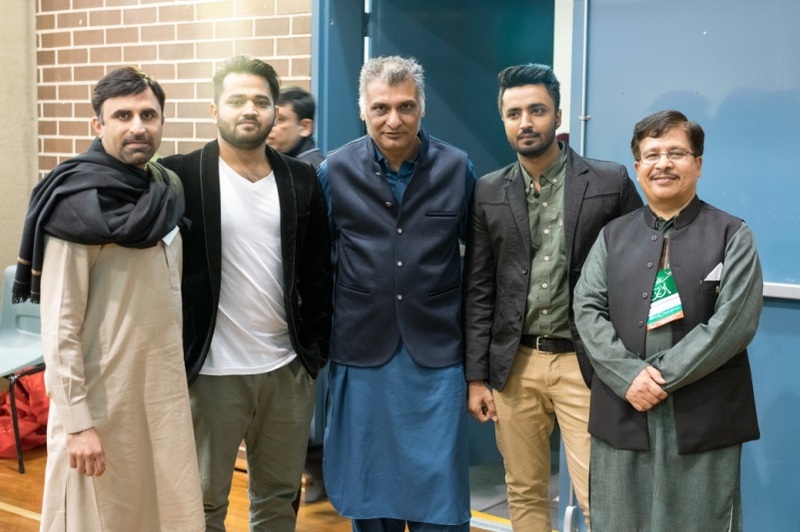 Mr. Khurshid Choudhary (Vice President PTI NSW), Dr. Asif Gill and Youth Representative Ahmad Yar Khan. 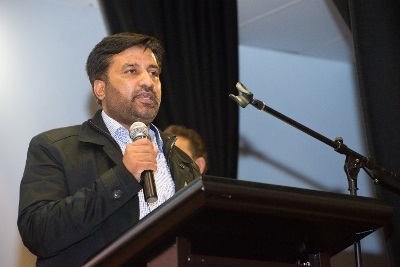 Khurshid Chaudhry (Vice President of PTI NSW) congratulated Pakistani nation for 70th Independence Day, mentioned about sacrifices of our forefathers since 1947, he explained why Pakistan could not reach to it’s potential, he explained why it is going down day by day; finally, he mentioned about ray of hope due to a great leader in the history of Pakistan, Imran Khan; who is a blessing of Allah for the nation. vote). 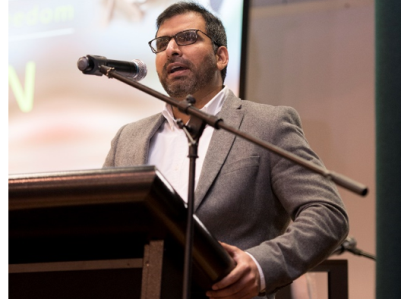 Vice President thanked our proud sponsors especially Farooq Ali (Tycoon Property Group), Masood Cheema (Islamic Association of Western Sydney Suburbs), all volunteers and participants. 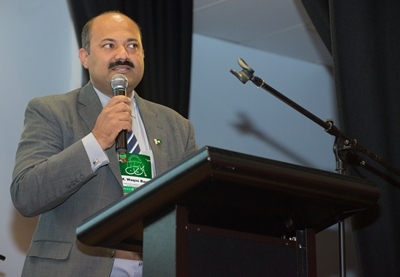 Muhammad Waqas Bashir (President PTI NSW) took the audience on a journey of history of Pakistan starting from 1947 to date. 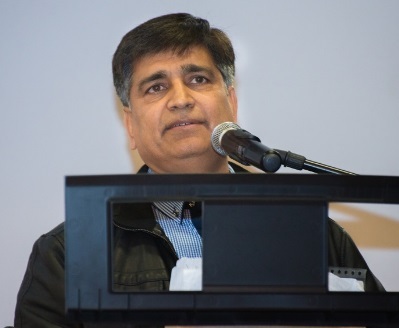 He explained ideology of founder of Pakistan Quaid-e-Azam Muhammad Ali Jinnah, dream of Allama Muhammad Iqbal and then showed the picture of calamities and miseries of Pakistan nation after the departure of founding leaders. 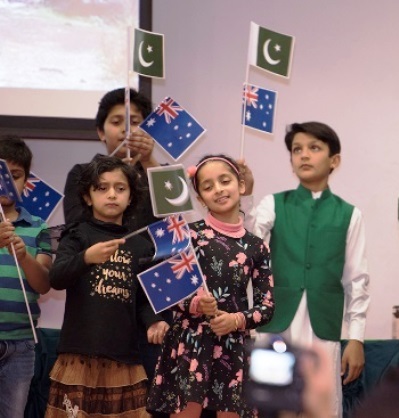 In his presentation, he showed pictures of all the events including fall of east Pakistan, terrorism, wars and natural calamities. 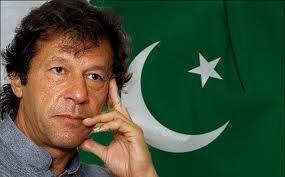 He mentioned that why nation have not seen prosperity is due to lack of basic human development, selfishness, unfair distribution of resources and mainly an anti-Pakistan leadership in past seventy years. 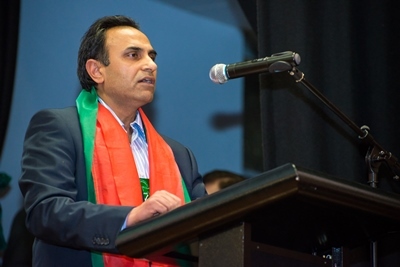 President PTI NSW gave walk-through to audience about the 21 years of struggle by Chairman Imran Khan, culture of accountability in the PTI and KP government, generating awareness on social media, TV and press, achievements and challenges ahead of PTI in Pakistan and PTI Australia. 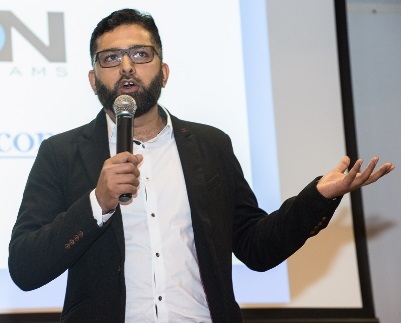 Muhammad Waqas Bashir’s passionate and informative presentation stirred and motivated the audience towards coming forward, thinking about their role for the betterment of Pakistan and supporting the movement of justice by joining the movement. 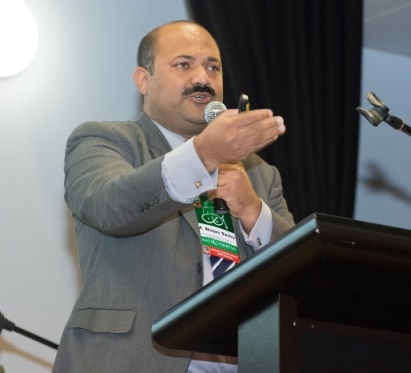 It is believed that many Pakistani nationals; who are not already members of PTI NSW will get PTI’s membership and strengthen this Tehreek Insha Allah. 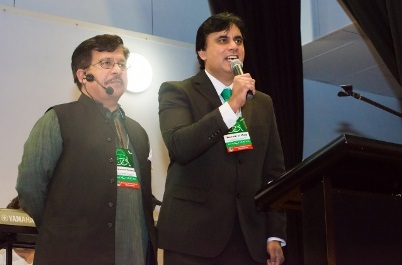 He showed financial statement of Pakistan Day event to wider audience and contribution of $15000.00 by PTI NSW chapter. 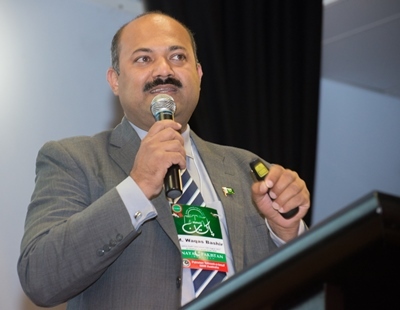 For this event, the goal set by the elected body towards contribution to PTI Pakistan is $25000.00 out of which $8000.00 has been pledged already and InshAllah the target will be achieved in coming days. 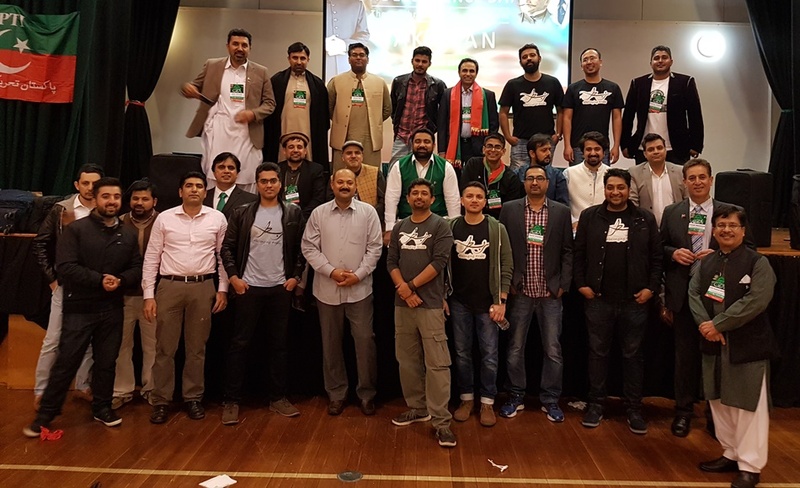 ALHAMDULILLAH Pakistan Tehreek-e-Insaf Australia (NSW Chapter) has around 1100 registered members, more than any other Pakistani organization in Australia; we all can create a big effect in the situation. The evening's entertainment also featured an online quiz in which around three hundred audience members participated via Kahoot mobile phone app over the large screen on stage. Activities for kids included jumping castles, face painting, magic shows. 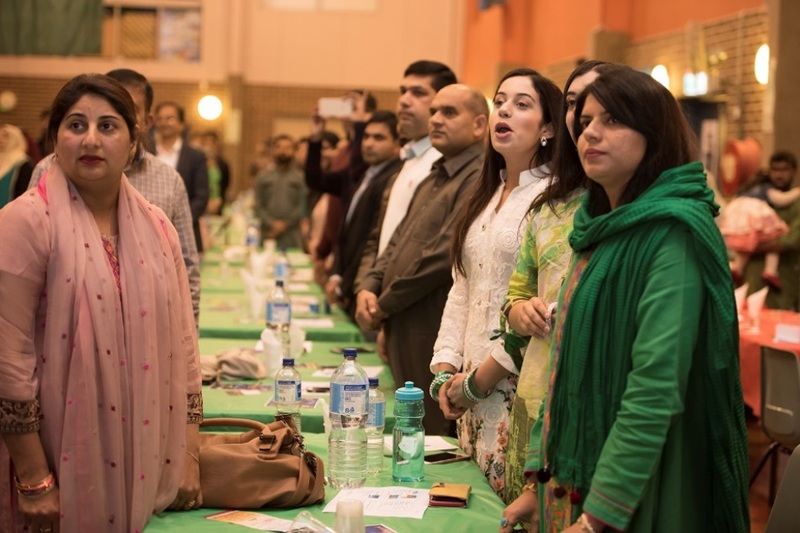 Entertainment for the audience included musical performances by Tariq Mahmood, Shayan Rafiq, Nabeel Khan (Poetry) and RABT musical group. 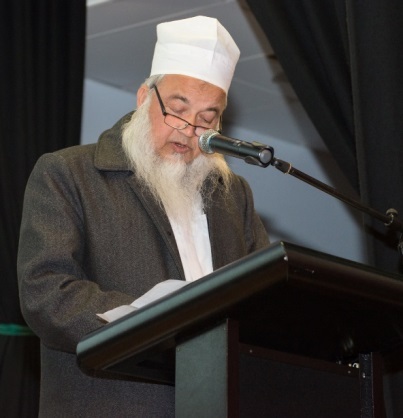 Formal stage events were concluded by Maulana Nazir ul Hassan Thanvi who made Dua for all those who had sacrificed for Pakistan in past 70 years and also for the future betterment of our beloved country. 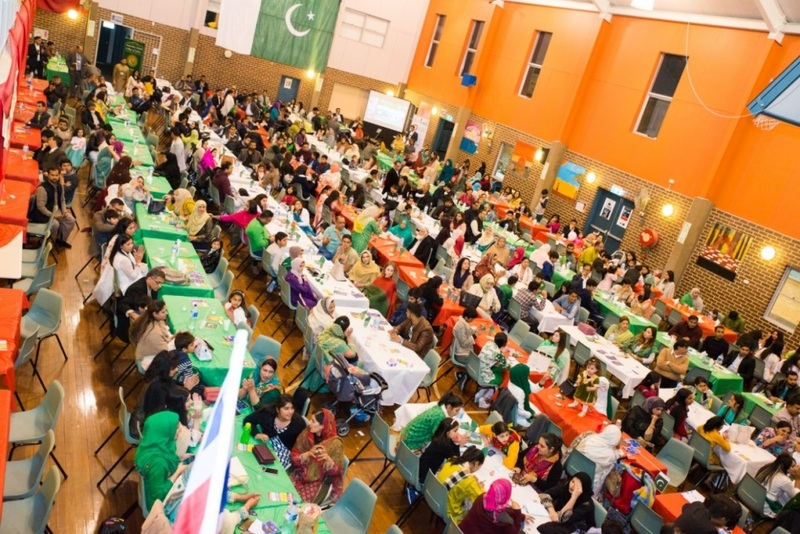 Event was concluded with buffet dinner and stage performances of Rabt Band. 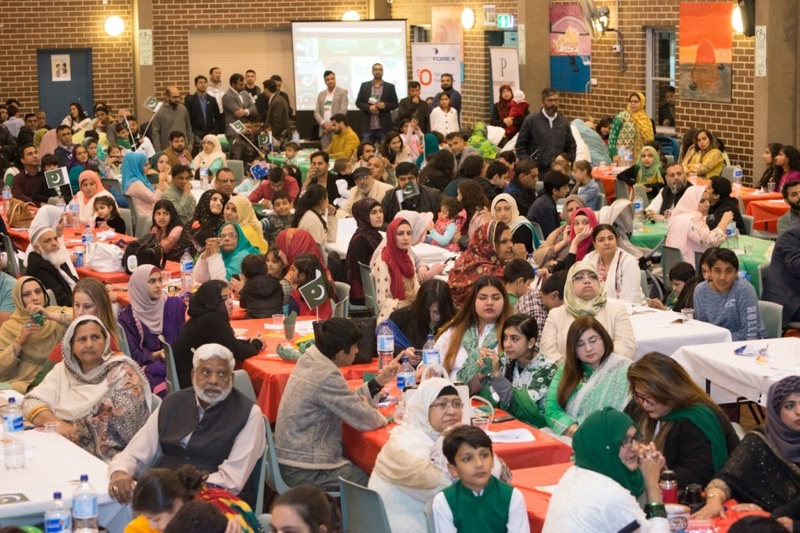 PTI NSW Execute team would like to thank all volunteers and our sponsors for their role in making this another successful event organized by Pakistan Tehreek-e-Insaf Australia. 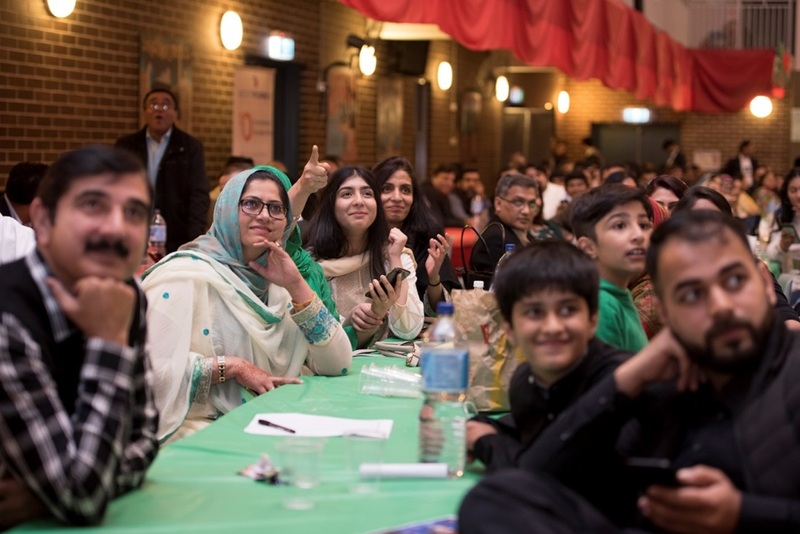 PTI NSW Working Team would also like to thank all the supporters who attended the event.